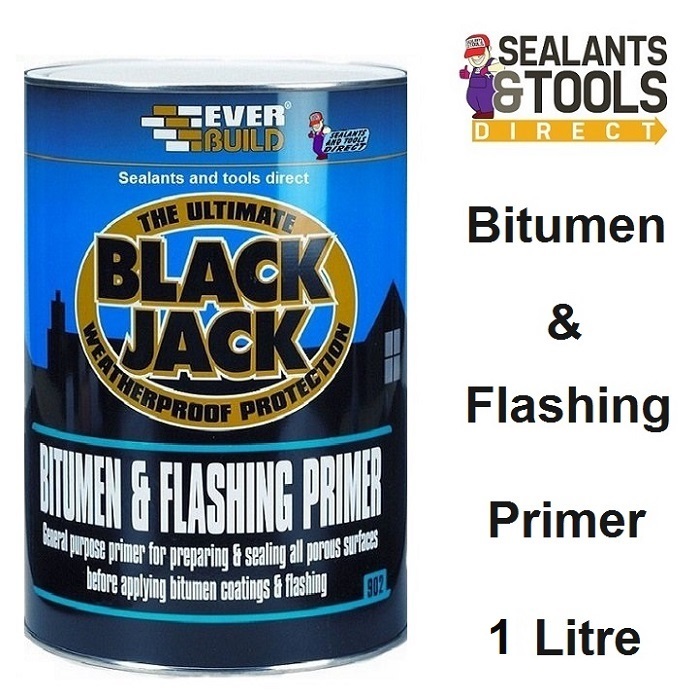 Everbuild 902 1 Litre Bitumen Primer a thin black primer used to give a key prior to applying bitumen paints and roof coatings. Also suitable as a primer prior to applying any flashing tape system. Weathered corrugated iron and steel. Avoid inhalation of vapours in confined spaces. Allow sufficient drying time before overcoating. Preparation of the surface All surfaces must be sound, stable and thoroughly clean and dry. Metal surfaces should be wire brushed to remove rust. Remove tar based paint systems before use. Fibre cement or rag felt apply generously to saturate the surface.